Born on June 1, 1905 Pt. Mohan Lal, Ex. Finance Minister & Home Minister Punjab, had been a brilliant exponent of laws and scriptures, a dedicated social and political reformer, a seasonal parliamentarian and an eminent educationalist. An illustrious son of Fatehgarh Churian (Punjab) started his carrier as a leading lawyer from Batala and rose to the position of Home, Finance, Education and Industry Minister of Joint Punjab (1955-64). 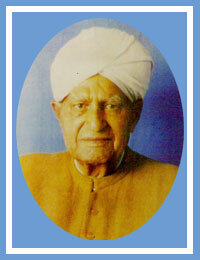 He was also a President of Shree Sanatan Dharam Pratinidhi Sabha Punjab (1973-1999). He always propagated the principal of Sarva Dharma Sambhavna and Woman Empowerment. Pt. Mohan Lal ji was a harmonious blend of patriotism, democracy and secularism. He wanted Punjab to get back its lost glory and glamour as an integral part of Indian Union. Having joined politics as a student, it was by virtue of his hard work and commitment that he emerged as a brilliant politician whose worth was aptly valued by politicians like Sardar Partap Singh Kairon and Pandit Jawahar Lal Nehru. Panditji has been honest to the core in detailing out the events dispassionately despite the fact that the he himself was loyal to Congress party. He has given an objective account of the events and this is what makes it a credible document of the post-independence political history of Punjab.